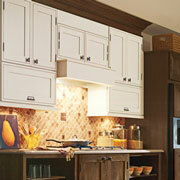 Kitchens are some of the most rewarding rooms to remodel because there is so much you can do with the space. You can go for a modern, clean look by adding stainless steel features, or you can go for a warmer country kitchen look by including rustic products. Whatever your end goal, ProSource® of Roanoke can assist you as you sift through different product options and choose the right one for your home. 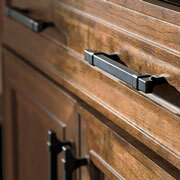 The look of your kitchen cabinets affect the entire feel of the kitchen. At our showroom, you can browse a multitude of options for your kitchen cabinet, with different wood, sizes, styles, and colors. Cabinets are also the main space-saving device in a kitchen, so you want to make sure they are practical as well as visually appealing. Our team can help you navigate this decision at our showroom in Roanoke. Cabinet hardware can really enhance your kitchen cabinet design which is why we incorporate so many style options into our catalog. You can choose between appliance pull, end caps, hooks, knobs, pendants, and more types in different sizes, and finishes. 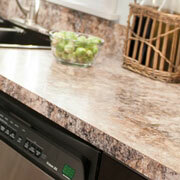 Kitchen countertops can provide a layer of beauty to a kitchen that no other appliance really can. At ProSource of Roanoke, you can choose between blended raw materials, granite, quartz, and recycled materials for your countertops. With our low wholesale prices, you can also do this renovation at a reasonable price. 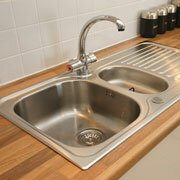 Do you want a double-basin kitchen sink, or one with six faucet holes? We have a kitchen sinks that can be configured based on number of basins, material, shape, type, and color! 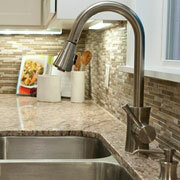 The kitchen sink is not complete until you have the correct faucet to go with the appliance. You can match your kitchen sink perfectly with our variety of choices or you can add the accent feature your kitchen currently needs.